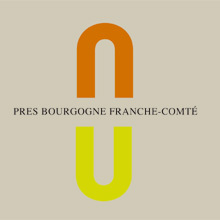 The PRES Bourgogne Franche-Comté, a center for higher education and research, is one of the contenders in the Initiative for Excellence competition, a major capital-funding plan launched by the French government and coordinated by the National Research Agency. The competition is conducted in English and €7.7 billion are to be shared among the winners. The stakes are high! I joined the project team in December 2010 alongside Synergence, a communications agency in Dijon and long-term client, working directly with the President of the University of Burgundy-who also presides the Foundation for Scientific Cooperation that oversees the PRES-and her cabinet. In phase 1, I adapted the vision and strategy chapters of the proposal into English, integrating changes right up to the submission deadline. Phase 2 involved the proposal’s oral defense by a 5-person team in front of an international jury. This took several months – in Paris and in Dijon – to prepare. I wrote the speech, adapting the content and style to each person’s strengths and level of English (as well as that of the jury whose members were not all native speakers), was involved in preparing and selecting the visuals, coached the President on her delivery and participated in several team rehearsals, right up to the appointed hour. We’ve passed all the hurdles and the same team is reserved to prepare round 2 in Fall 2011. “Patricia provides us with invaluable consulting services. She not only translates our message, she understands it and joins us in conveying it fully, coaching us to achieve our goals. We have received praise for the quality of our communications in our PRES’ candidacy for the [French national] Initiative of Excellence competition as well as our speeches in front of international audiences.